My Experience & Results After Using Chase Offers – I had a Rocky Start! Chase introduced Chase Offers in late 2017 as a competitor to Amex Offers. 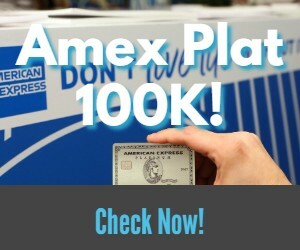 While they are not quite on the Amex Offers level, yet at least, they are a step up from Bank Of America’s BankAmeriDeals. Chase Offers are only available for the Chase Slate card (Click here for to compare offers and apply) and both versions of the Marriott cards (business & personal). The Marriott Business card was the only shining moment from my bloodbath of an application spree in late 2017. Shortly after receiving the card I decided to give Chase Offers a try. My experience started out pretty rocky but I ended having mostly good results. The first Chase offer on my radar was the one for Whole Foods. The offer was for $10 off of a $25 purchase at Whole Foods. Now the terms say gift cards are not eligible but it seems the rules are rarely enforced with these bank “offers” so I decided to give it a try. I went searching for Amazon gift cards and purchased one and swiped my card. The teller told me there was an error and to grab another one. So I tried it again and the same error. They both ended up loading and billing – good thing I still kept them! But at the time I decided to give up on the gift card route and just purchase some groceries for the deal. I expected to get an email within a few minutes thanking me for using the deal but it never came. From what I had read that isn’t all that concerning…it should show up in my pending in a few days. After 4-5 days with nothing via email or in my pending on the Chase Offers site I decided to secure message Chase. I knew I had reached the terms since I purchased actual products, and not just gift cards, because of the gift card issues. The first employee’s response had no clue what Chase Offers were and sent me a canned response about the perks of my card…uh what? The second employee said I had no Whole Foods offer on the account. So I sent a screen shot of it to them to verify that I did have the offer. Chase responded that I needed to include the URL with my screen shot. The problem was that the offer had expired a few hours before so I couldn’t get the screen shot any longer. Luckily the Whole Foods offer appeared in my expired offers section so I did another screenshot of that with the URL and they agreed to credit my account. I am not sure why it wasn’t showing up on their end in the first place. I did receive the manual credit a few weeks later. The crazy thing is then I received an email that I had used the offer and I received a second credit. This email came 3 weeks after I had used the offer…looks like there are still some glitches in the system. The next offer I used, a day after the Whole Foods offer, was the $10 off of $50 at Gap. I purchased a $50 Gap gift card. There was no used offer email for this one either. I added this one into my secure message to Chase too, when I contacted them about Whole Foods. They said that I did have this offer on my account and I would get the credit soon. I have no idea why this one showed up for them but not the Whole Foods offer. The used offer email came 2-3 weeks after I made the purchase for this one too…very strange. I ended up getting the credit a few days after the email. Lowe’s had an offer for $10 off of a $50 purchase. I purchased a $50 Amazon gift card and received the offer used email almost immediately…it finally worked! The credit posted to my account within a few weeks. The Athleta offer was for $20 off of a $100 purchase. I purchased a $100 gift card for resale. The offer used email came within minutes and the credit posted a few weeks later. The Staples offer was for 10% off a purchase up to a $20 credit. I had read online that gift cards purchased off of Staples’ website were not working for the offer. I had also read that Visa gift cards were hit or miss on triggering the credit. With that knowledge I decided to purchase $200 in Amazon gift cards. The email came immediately and the credit posted within a few weeks. As you can see my experience with Chase Offers started off bumpy but once the process smoothed out it was pretty flawless. All in all, I received $70 in credits from the offers plus a $10 bonus credit, for a reselling profit of $32.25. Not too bad! The terms state gift cards should not work but they have been working so far. Who knows if it will become an issue down the road. Make sure you follow us on Twitter and Facebook so that you get up to date alerts of when new offers are released, like the Sam’s Club offer from yesterday! Does Gap sell Amazon GC? Also, my experience with staples.com offer was quite different. I bought a $200 VGC and a filler item in a single order and got 10% back for the filler only which indicates they had staples was sharing level 3 data and they were able to distinguish between VGC and regular purchase on the receipt. Interesting. No I bought a Gap gift card :(. I got a little too Amazon crazy. I have seen 3rd party gift cards in some Old Navy locations but not at a Gap.